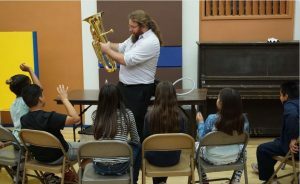 Founded in 2009, Oakwood Brass – Outreach Project seeks to revitalize brass chamber music through lively, engaging performances of intentionally curated repertoire to attract new listeners to classical instrumentation. 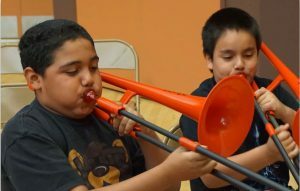 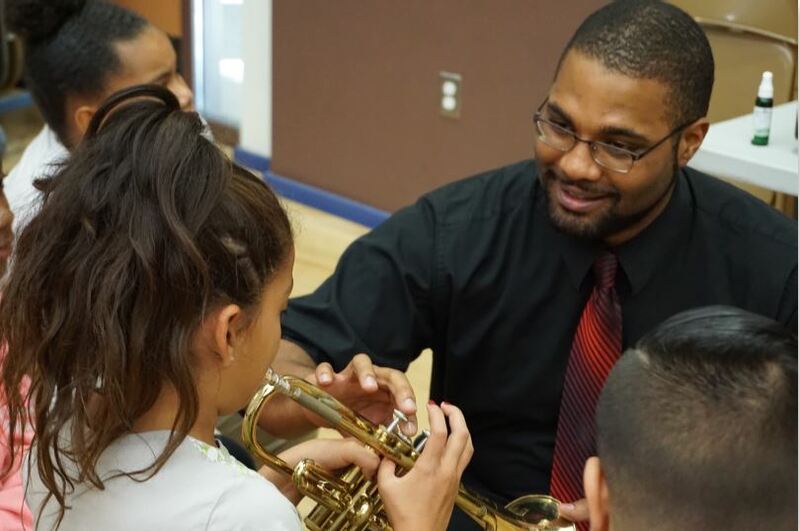 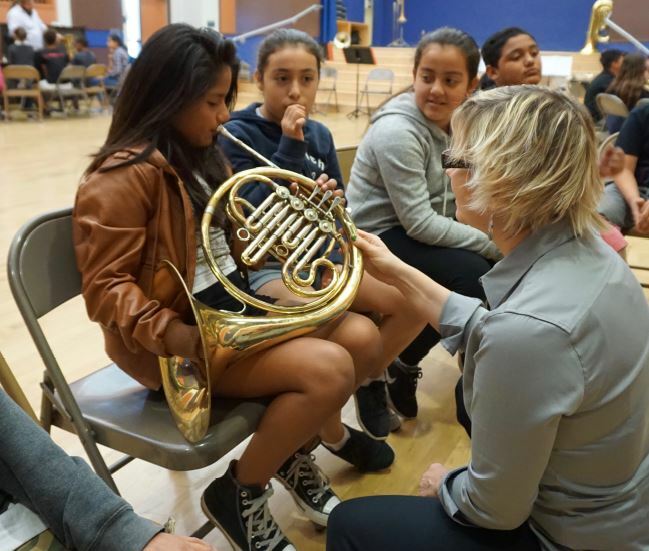 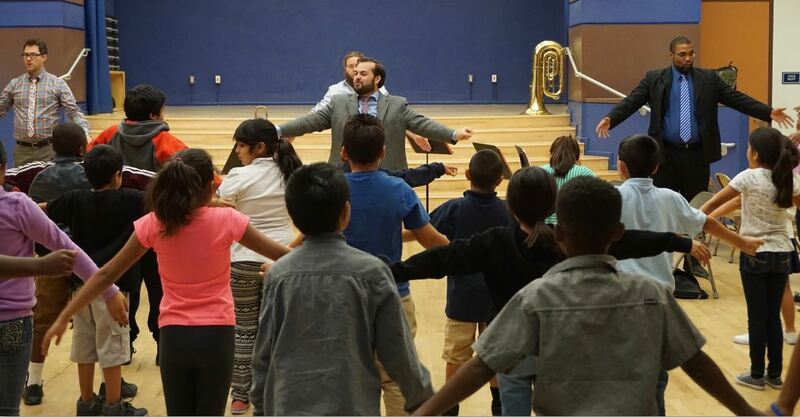 This year the group presented instrument introduction concerts at Cleveland, Jackson, Longfellow, and Washington elementary schools in Pasadena, and Royal Oaks Elementary in Duarte. 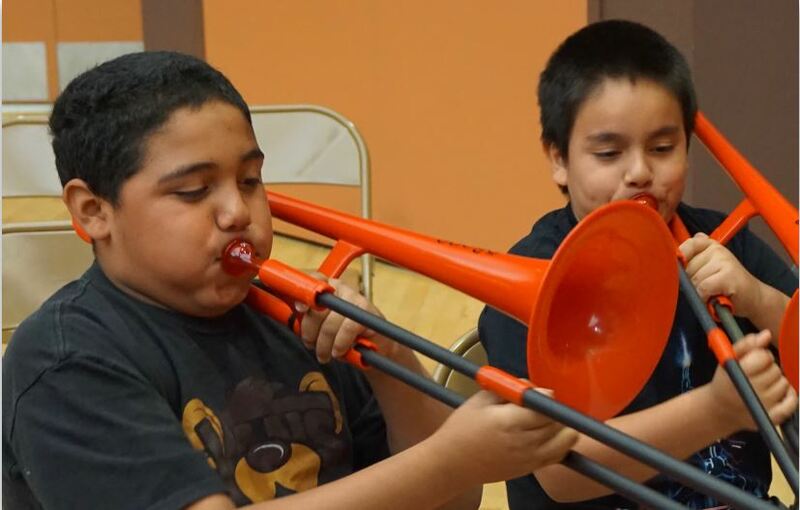 These programs were partially funded by the Local 47 Trust, Tournament of Roses Foundation. 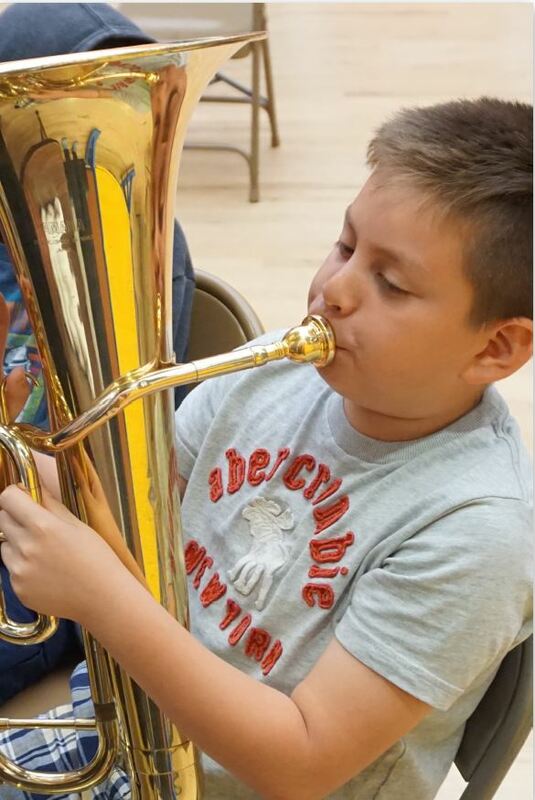 Students learning to breathe in and out with control for 4, 6, 8, and 10 counts. Students learn about each brass instrument and how they work at four stations. 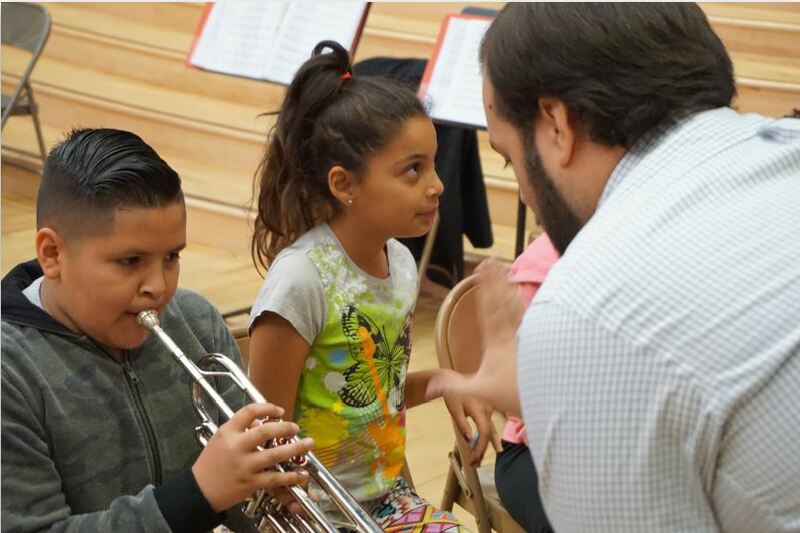 Each station has an instrument for the student to use with an opportunity to play the instrument. To learn more about Oakwood Brass and donate, please visit oakwoodbrass-outreachproject.org. This entry was posted in All News, Features and tagged music in schools, Oakwood Brass, Oakwood Brass - Outreach Project on November 23, 2016 by admin.